Caption slip reads: "Photographer: Miller. In foreground with nets, #25: Miss Jane Colburn, #26: Mrs. Robert C. Rines, Mrs. John W. Gaines. Back Row: Mrs. Walter Butler, J. Mrs. David Simpson, Mrs. John M. Archer, Mrs. Dean Markham (seated), Mrs. Fred Denison, Mrs. Louie Sorensen. #47: Denison. #48: Gaines, Flower, Hines, Archer, Mrs. Doug Mueller, (seated) Calbulen. 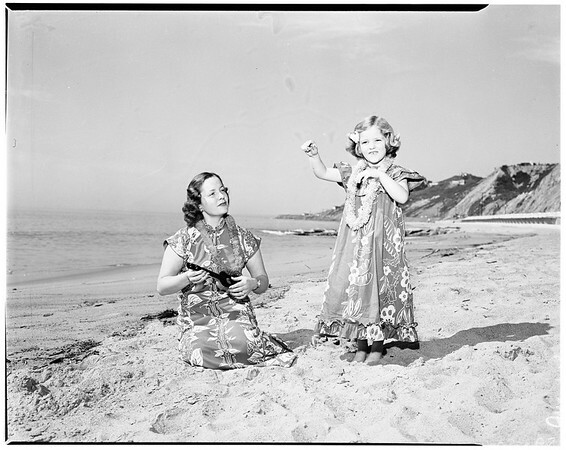 #13-14-39-40: Mrs. Colin Simpson and daughter, Bonnie Simpson, age 5. #49: Mrs. Richard D. Sawyer, Miss Joan Tierney, Mrs. Frank C. Crowhurst. #50: Tierney. #16: Crowhurst, Sawyer".